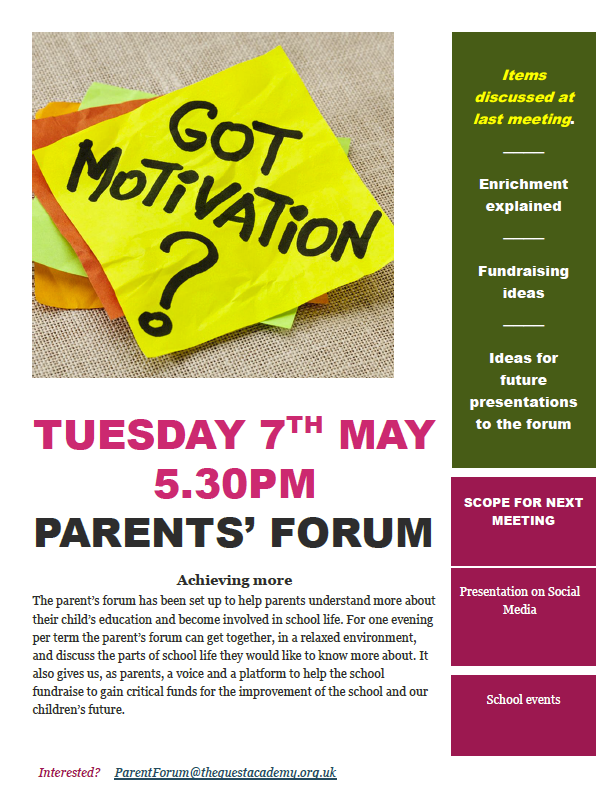 The Quest Academy Parents’ Forum is run by and for parents. 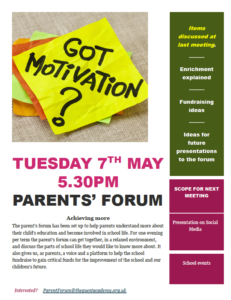 Parents are welcome to attend our regular, termly meetings. Please CLICK HERE to see the presentation given at our meeting on 12th March 2019. Please CLICK HERE to see the presentation given at our meeting on 30th January 2019. We welcome the involvement of both new and existing parents. If you would like to be involved, please complete the form below.